Defending Iron Horse Bicycle Classic professional road race champion Payson McElveen, right, will offer a new training course leading into the 2017 race. Spectators may be able to cram into a second bar to watch Iron Horse Bicycle Classic mountain bike racers compete in 2017. The race committee is working with The Irish Embassy Pub to add it to the course along with Steamworks Brewing Co. It is going to be a year of experimentation for the Iron Horse Bicycle Classic. 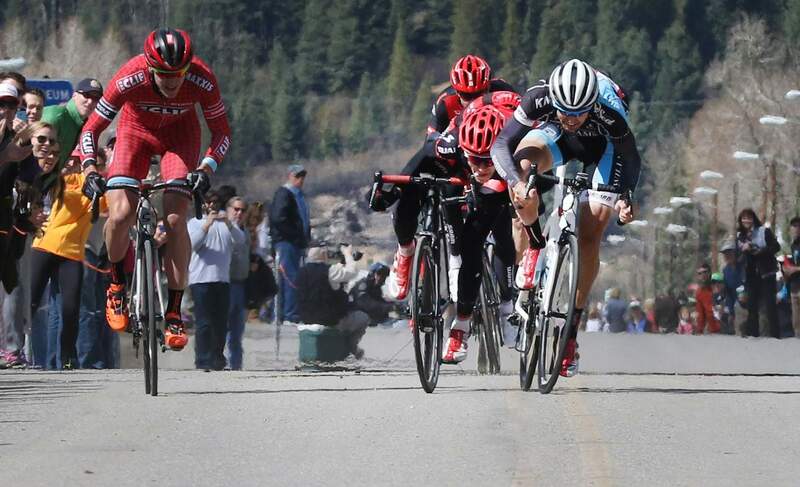 The 2017 event will be the 46th installment of the wildly popular cycling race from Durango to Silverton. While the road race and Citizens Tour will remain the same, the rest of the Memorial Day weekend events will see a major face-lift. IHBC Race Director Gaige Sippy said the Sunday downtown circuit race and Monday time trials will be scrapped, with downtown BMX and street sprints likely to be added, along with a Sunday morning gravel race. 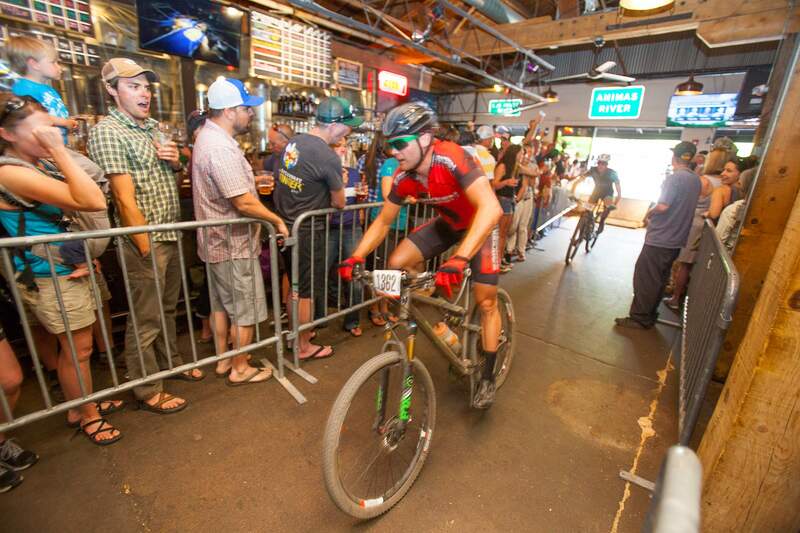 Additionally, a second downtown bar could be added to the mountain bike race that famously runs through Steamworks Brewing Co.
“We’re going to expand the mountain bike offering a bit with more urban features,” Sippy said Friday in a phone interview with The Durango Herald. “We might ride through another brew pub, and we’re working on all those angles at this point. The Monday time trial had dwindling participation in recent years with few professionals contending for an overall omnium championship after the Saturday road race and downtown Sunday events. Sippy said the IHBC committee is working with the The Irish Embassy Pub to try to add it to the mountain bike race. The new course would also include features built for a downtown BMX event. An official event list will be available by mid-November after plans are finalized, Sippy said. Registration will open Dec. 3, and spots in the Citizens Tour always sell out quickly. Citizens and elite riders alike will be able to get a boost in their training this year. Defending mens’ professional road race champion Payson McElveen has partnered with Williams Racing Academy to provide an official training service leading into the 2017 race. The city and Durango Community Recreation Center have offered training classes in the past, but this will provide a unique opportunity for riders of all levels to gets hands-on training on the road with the man who sprinted to victory last year. The course will offer up to seven months of training beginning Nov. 1 and running until race day May 27. The training course will offer a variety of plans that include individual months and plans for riders of all ability levels and time constraints. It will cost $100 per month, $95 per month if purchased for four months and $90 per month for those signing up for all seven months. “There are quite a few things beyond just fitness that I can help them with to improve their times or finally meet that goal of beating the train,” McElveen said. Christian Williams of Williams Racing Academy has coached McElveen for nearly 10 years and will partner with McElveen to develop the training program. Williams also has coached Durango’s Christopher Blevins, an elite junior rider across all disciplines. Those interested in McElveen’s training program can email chloe@williamsracingacademy.com.